After graduating from the university in the late forties, he joined the United States Army and worked as an interpreter with the rank of a lieutenant (later captain). In 1950, he moved to Hong Kong before he was sent to the Korean battlefield to serve as a translator in the American headquarters. He did his best to assist in negotiating peace between the USA and China but for doing this he was verbally attacked by the advocates of Senator McCarthy. He then resigned from the army and retired to private life. He was a good friend of Pai Kuang ,the biggest star of pre-1949 Shanghai cinema, and she introduced him to the film industry in HK. His film debut was The Fresh Peony (1956) and he was soon recognized as one of the top leading men of the Mandarin cinema in HK (which was more powerful than Cantonese cinema at the time). His strong masculine portrayals soon earned him the film nickname of the “Lion” of Mandarin film. 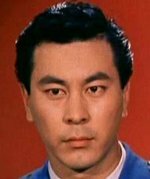 His stardom continued into the 70s with roles in classics such as King Hu’s ATouch Of Zen (1970), The Fate of Lee Khan (1973) and The Valiant Ones (1975). He was also in one of the more important film precursors to the New Wave with The Arch in 1970. His dignified and noble bearing gave his characters in these films great weight and authority. Since the late 70s, he also was in many commercially successful films collaborating with John Woo, Johnny Mak, Jackie Chan and Sammo Hung. From an acting perspective perhaps, the pinnacle of his career may have been in the 90s. Both Cageman (1992) and Summer Snow (1995), in which he was the leading actor, were awarded the Best Picture of the HK Film Awards and he won a best actor for playing the lonely old man in the latter film. Though not born to Christianity, Roy became a devout one during his life. The reason for this conversion was quite peculiar. In Korea, he survived a car crash and he later came through a jet crash without being injured when he was flying a mini-plane. He also suffered from three heart attacks but he remained strong and healthy. He said 'There must be a God who takes care of me!' and he became a very devoted Christian. During the last days of his life, he established a Christian fellowship among actors, the Artists Home, which helped to deal with different problems faced by the actors in HK. When he finally died on the 16th of April 1999, many people in HK wept for him. It seems that he was one of the favorite Asian supporting actors of the Western filmmakers in the 50s to 80s.